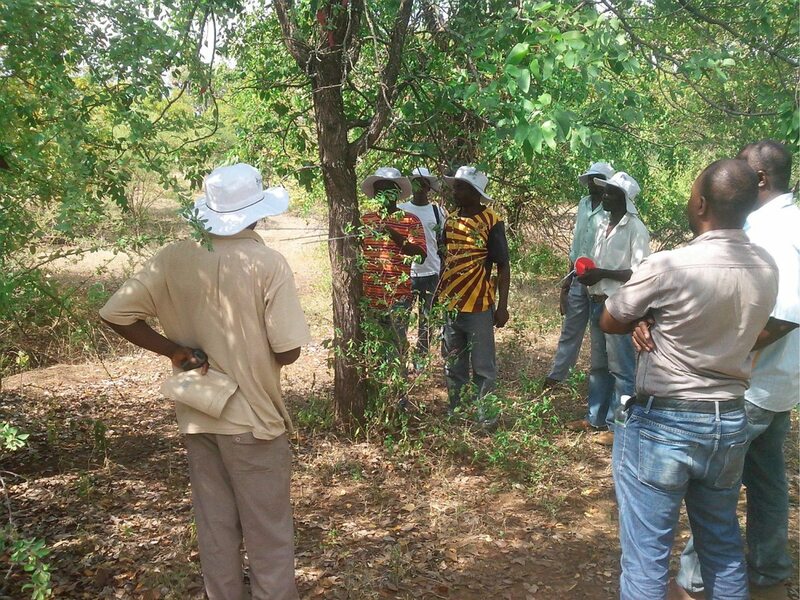 Southern Alliance for Indigenous Resources (SAFIRE), a regional NGO based in Zimbabwe, has embarked on a number of projects over the years through initiatives that promote Community Based Natural Resource Management (CBNRM). Zimbabwe is a country of about 13 million people, with a fluid, agro based economy and about 70% of the population living in rural areas. On the southern part of Zimbabwe, on the edge of one of the largest nature reserves in the country, the Gonarezhou National Park, lies Malipati, a community fighting to prevent the eventual effects of climate change on their livelihoods. 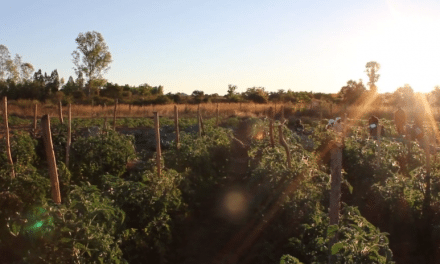 Tucked away in the driest part of Zimbabwe’s Agro- ecological Region V, this community of about 3000 homes and about 5 people per household, is heavily dependent on agriculture. This region is a very dry part of the country which is suitable for drought tolerant crops like sorghum, millet and cowpeas. However the ever changing climate is threatening food availability for this community. This is why SAFIRE has partnered with the Liechtensteinischer Entwicklungs Dienst (LED) in supporting community adaptation initiatives through the project “Adapting to climate change through protecting and enriching local natural woodlands and forests in Malipati, Chiredzi District”. This project aims to strengthen the capacity of rural communities in Chiredzi district wards 13 and 15 to reduce carbon emissions through protection and enhancement of their forest resources. While the area is characterised by erratic rainfall, it has Mopani forests and woodlands which are fairly well-stocked. The forests are however under threat from clearance for agriculture as farmers try to cope with increasing droughts through extensive agriculture. Natural regeneration of the forests is hampered, in some areas, by over-grazing especially by goats which eat the seedlings. The forest areas are also exposed to annual dry season fires which destroy both mature trees and saplings. 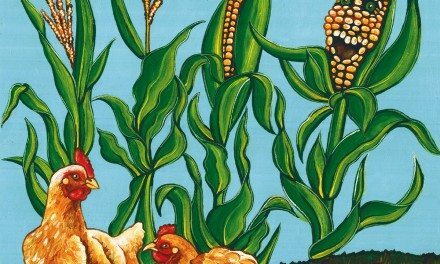 In terms of crop production, the area experiences frequent crop failures due to low and erratic rainfall. The purpose of this project is to therefore help 3000 households in rural communities of Malipati to adapt to climate change through promoting the adoption of climate adapted farming methods like conservation farming while protecting and enriching their forests and woodlands for carbon sequestration, other environmental services and for production of non-timber forest products. So far, farmers have been trained in conservation farming, a method which promotes good yields when there is low rainfall as it uses terrain friendly methods which promote soil protection and water conservation such as water harvesting basins and mulching with emphasis placed on ripper tine technology. Furthermore, a total of 500 farmers have been provided with millet, sorghum and cow peas seed this year. Additionally, communities are benefiting from forest management projects like bee keeping which protect their forest while providing them revenue for livelihood. To develop a revenue base for the future while also providing nutrition, communities have been further trained in raising fruit trees with a nursery and four orchards set up at 2 Primary schools and 2 Secondary schools in the 2 wards. Since protecting the valuable forest is part of the project, the communities are benefiting from fire-fighting training and awareness and are being provided with firefighting tools to better protect their grazing lands for their animals to feed. Furthermore, Natural Resources Management (NRM) committees in both wards have been trained in carbon assessment methods and they are now conversant with the use of clinometers, diameter tapes, GPS units and calipers among other tools which are normally used by qualified foresters. In order to involve young people in the community project as well as to raise awareness about both the concept of climate change and carbon sequestration, community sports competitions are held every year as well as schools drama and public speaking competitions. These are held in conjunction with the Ministry of Primary and Secondary Education and this year the theme was ‘Climate change-Knowledge is power’. 7 Primary schools and 3 Secondary schools took part in this year’s schools competition and 7 soccer teams and 6 netball teams took part in the 2 stage community competitions played across 3 venues. More than 4500 students, parents and teachers attended the two events. School children are also involved in the project through the seed collection programme whereby 8 schools were given branded seed collection bags so as to collect seeds from students to plant in the nursery. More than 10 different types of seeds were collected (mostly indigenous trees) and were sorted, graded and some planted on National tree planting day and this was very exciting for the children. The idea to have school children collect seeds, with some of the seeds coming from trees in their homes for the nursery has two main advantages. 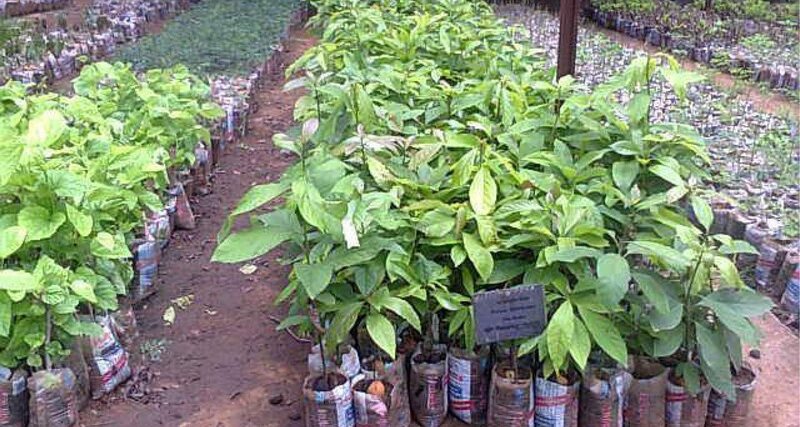 Firstly the seeds are from trees that are already adapted to the area as most of the seeds are of indigenous seed or exotic trees growing in the region. Secondly, the link between the community nursery and schools awareness activities on climate change is cemented.